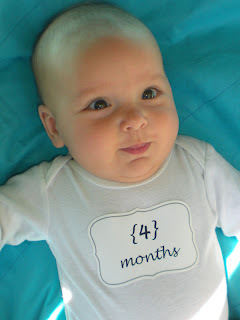 What is Good: My baby's 4 months! Here we are already in July! 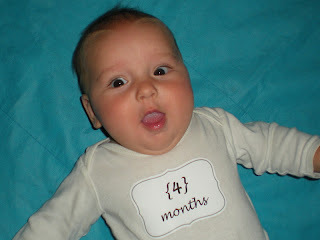 I'm a few days late in posting pictures of Jesse reaching 4 months but I figured late was better than never, right?! At four months he's still not sleeping through the night but he makes up for it with his adorable-ness! Jesse's constantly aware of all activity around him and thrives on the attention of his big brothers. Alex and Isaac are the best at keeping their "boo boos" happy, so much so that Jesse gets lonely when they aren't around. Seriously! He loves the noise, I have to put music or turn the TV on when it gets too quiet for my little guy. Not something I ever had to do with the other boys. 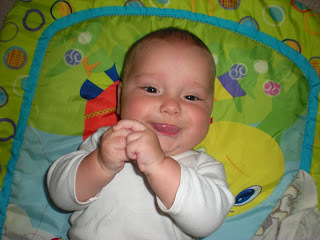 I'm pretty sure Jesse's teething, he constantly wants to chew on his fists and anything else he can find to gnaw on. Poor guy has a long road ahead of him. I can't get over his chubby little cheeks! And legs. And arms. And that double chin! 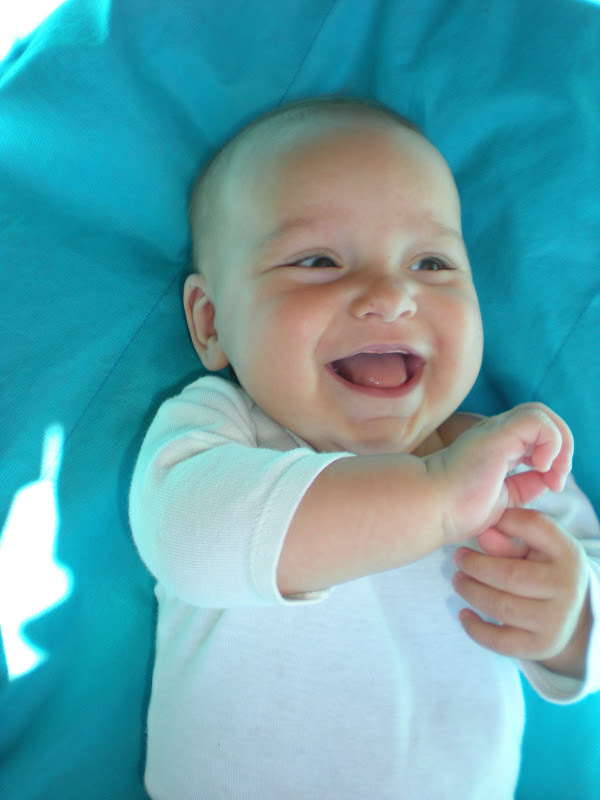 I'm in love with all 13 pounds of him, every ounce! I thank Jesus for my blessings every day! God is Good!